Scienceworks - Nitty Gritty Super City - Adventures from where you want to be. There are lots of interactive areas for the children to enjoy. This exhibit is hands on, the children will be building, pushing, pulling, spinning. There are great carer’s notes near each of the exhibits for you to help guide your child’s activities. Or just let them explore! Is a great construction zone which teaches children about pullies, helps them learn about angles whilst building a bridge. Team work as they work together to rebuild a wall. There is a digger to use. A wall to learn about using the right tool for the job. The recyclatron is a great area to teach children how important it is to recycle. How we can turn useful things, like cans, bottles and paper, aren’t wasted, but are saved to be made into new things. The cafe not only teaches children to work together some children are waiters, some chefs, some patrons of the cafe. It teaches children where our food comes from. What comes from plants and what comes from animals. The music bowl teaches children how musical instruments are made from many different materials, from bamboo, steel, wood, brass. It teaches children how different materials make different sounds. Teaches children about vibrations. Also the different shapes mirrors located around the music bowl are a great way to teach children how the curves in the mirror affect the way you see your reflection. This is another great area to teach your children about turn taking. The children can sit on a penny farthing, have a turn loading Cargo on a boat. Hoist a flag, use a steering wheel. Children will love learning about tracks that the creatures leave behind as they move around the creatures exhibit. They can learn about microscopes, here animal noises. Children learn about the weather in the interactive weather station. They can make their own weather report and learn all about how weather is measured. 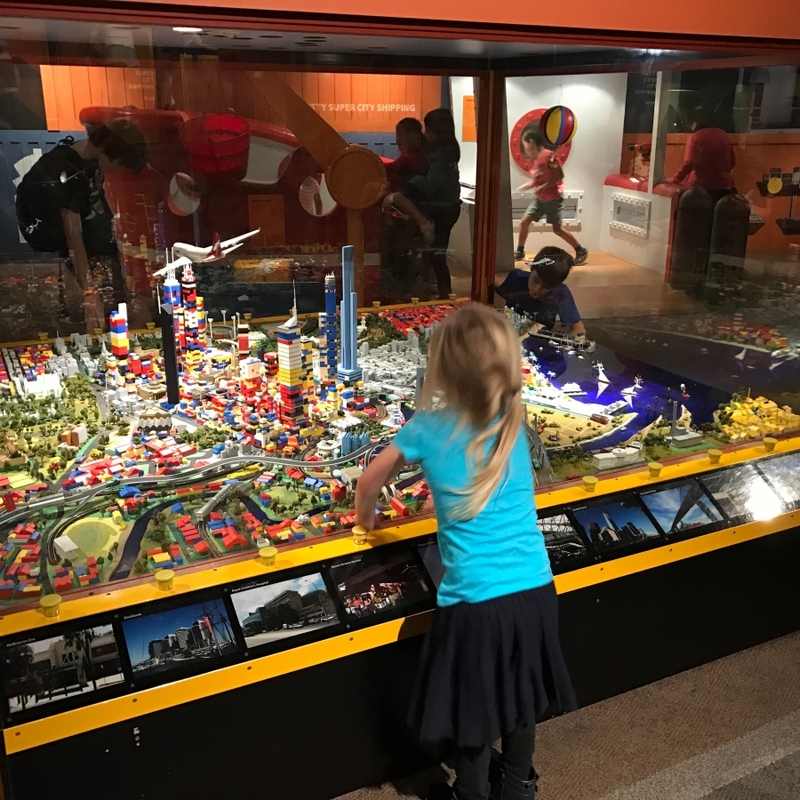 One of my children’s favourite part of Nitty gritty Super city was the large interactive Map of Melbourne The children were able to touch the buttons on the side and watch various lego landmarks around Melbourne light up. This looks like a fun and educational place for the kids. It’s the sort of place I would have taken my kids when they were younger.